Customers have grown accustomed to high speeds and reliable connectivity. One second of network delay when accessing website, mobile app, or application service can increase your bounce rate and even decrease your customer’s trust in your brand. Cost - The growth of your user base and your business needs both outpace your IT budget. Security - Connections over the public Internet are vulnerable to DDoS attacks and other threats. Fast and reliable services are the foundation of business success, especially for industries such as retail, e-commerce, finance, aviation, hospitality, and video-on-demand. 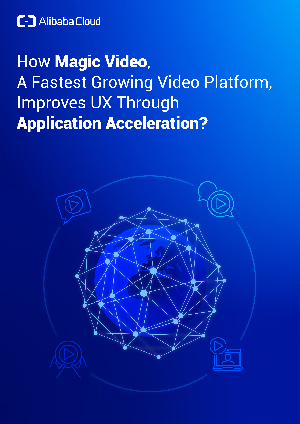 • How Alibaba Cloud’s solutions help Magic Video build a global hybrid enterprise network, accelerate content delivery of the application, and maximize bandwidth?